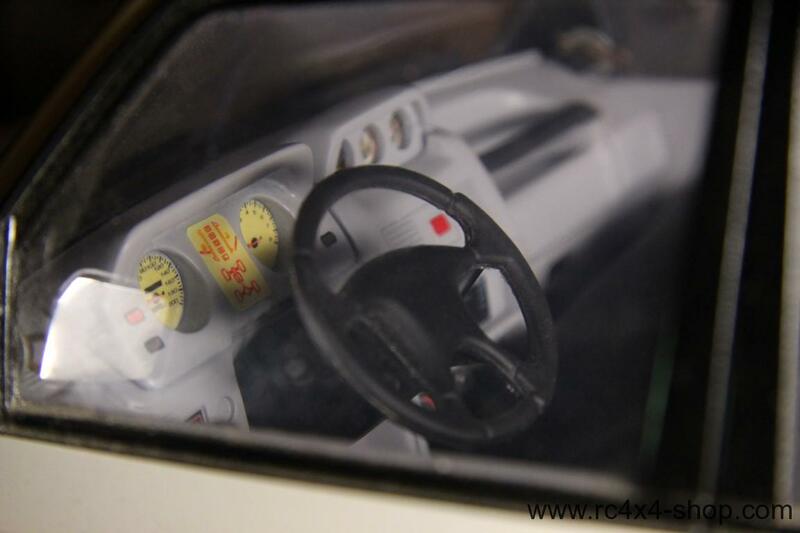 Exclusive Scale Dashboard with decals and inside door panels for Tamiya CC-01 Mitsubishi Pajero. 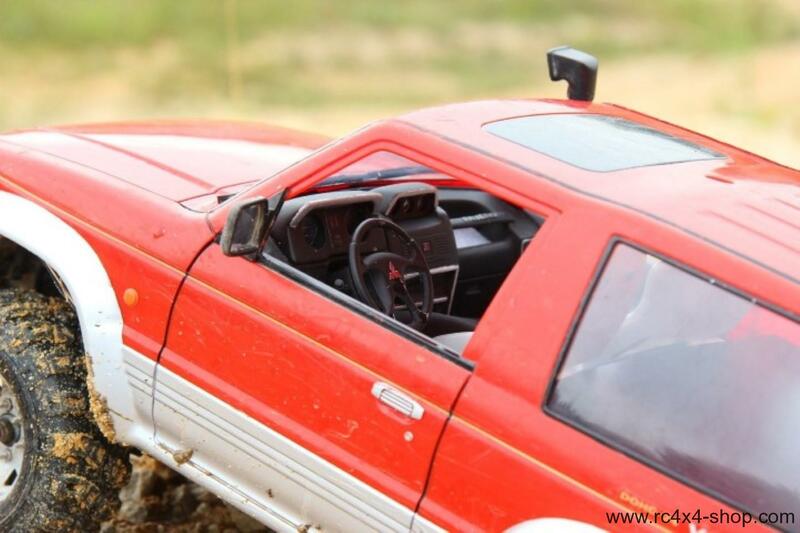 Note: This is exclusive scale dashboard KIT that fits Tamiya Pajero body without customs. 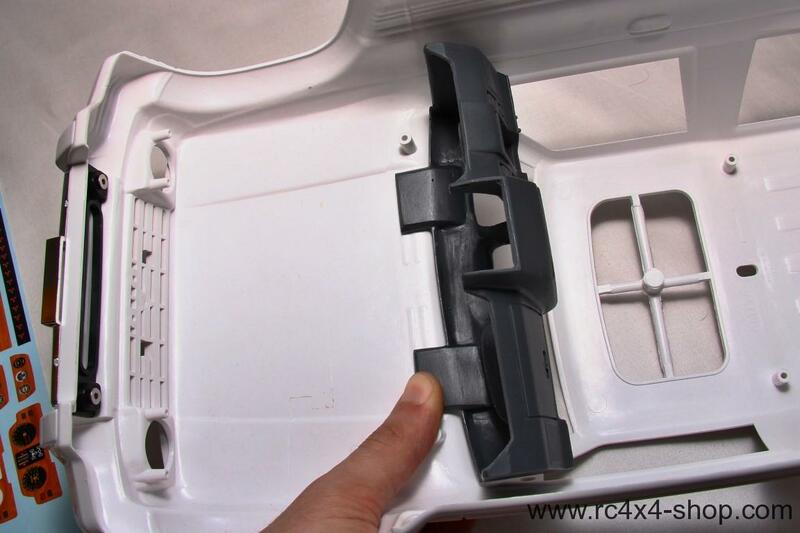 It needs cutting when instalation in CC-01 / XC Chassis. Black assembled dashboard is cut for fitting into CC-01/XC Chassis with gear reduction unit and steering servo in standart position. 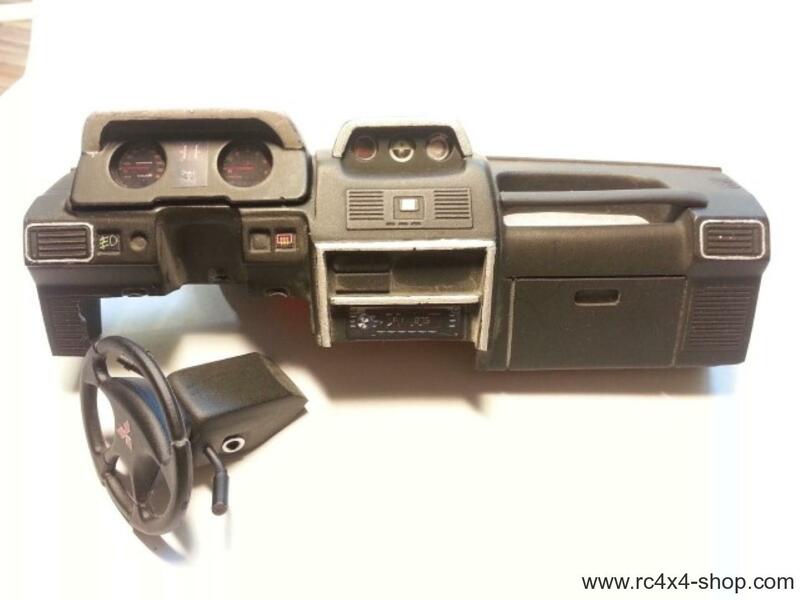 Black dashboard is for referetion only. 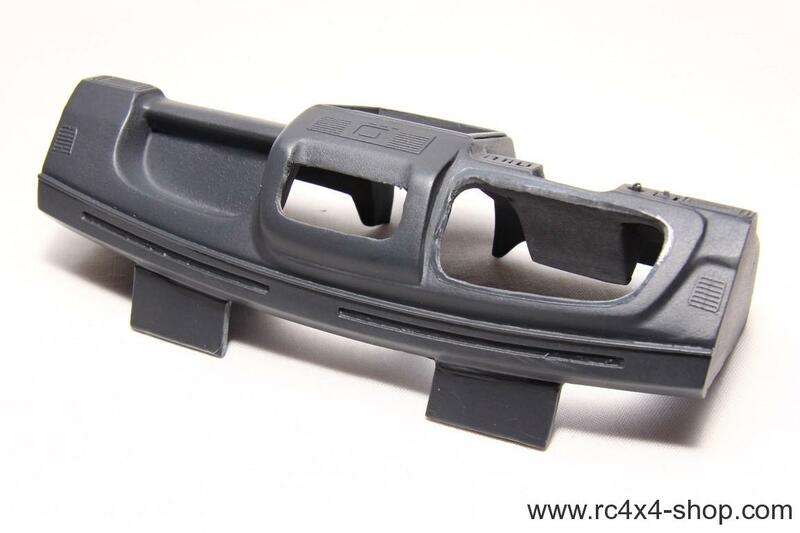 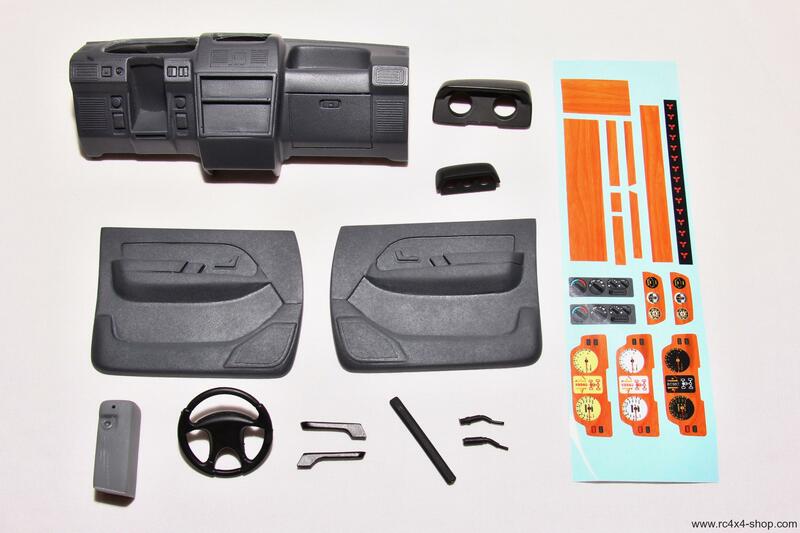 You will receive disassembled and unpainted dashboard in grey color. 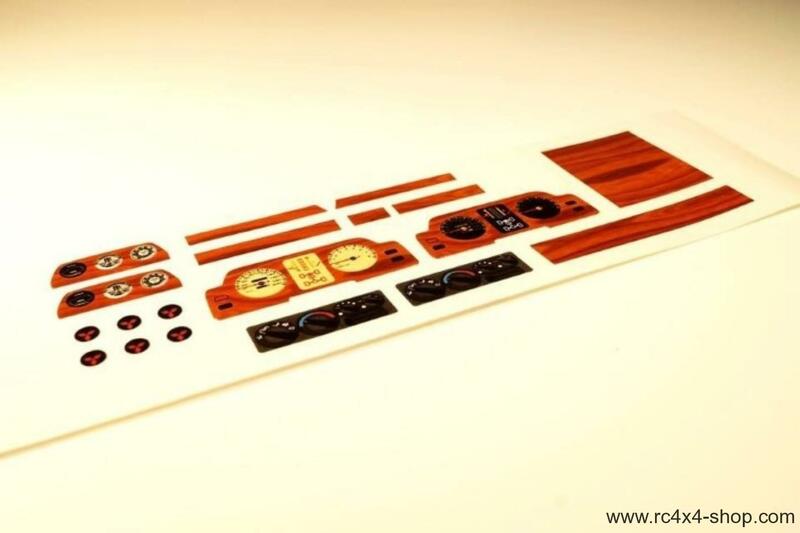 Color may vary and each piece of dashboard can be in different color. 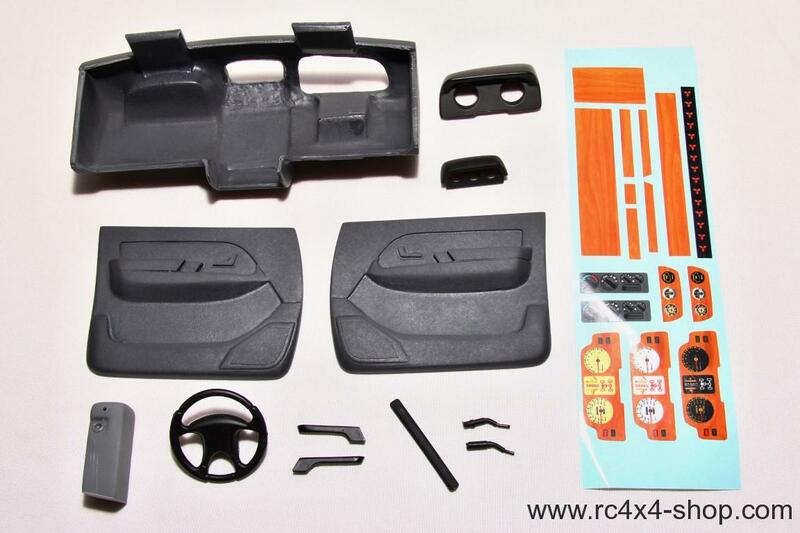 You are buying only unpainted Pajero dashboard KIT with decal set. 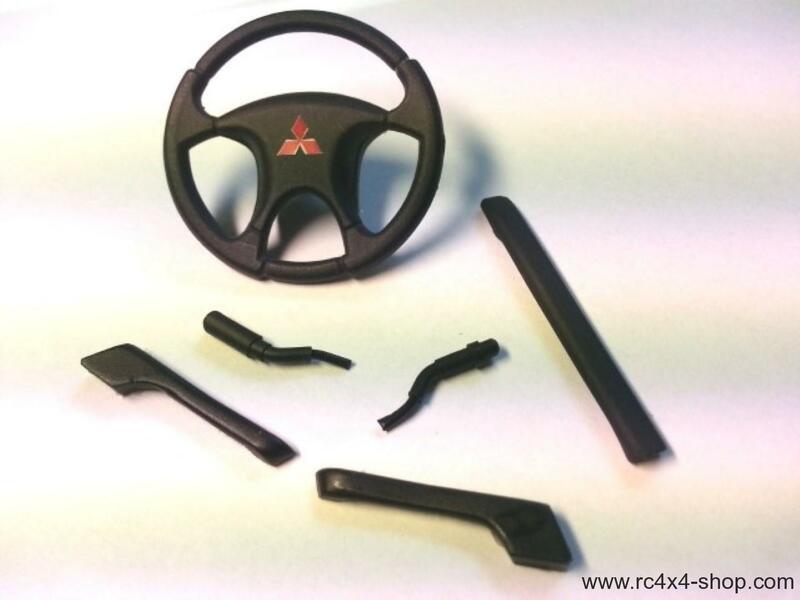 Finished black dashboard in red Pajero is for referetion only.